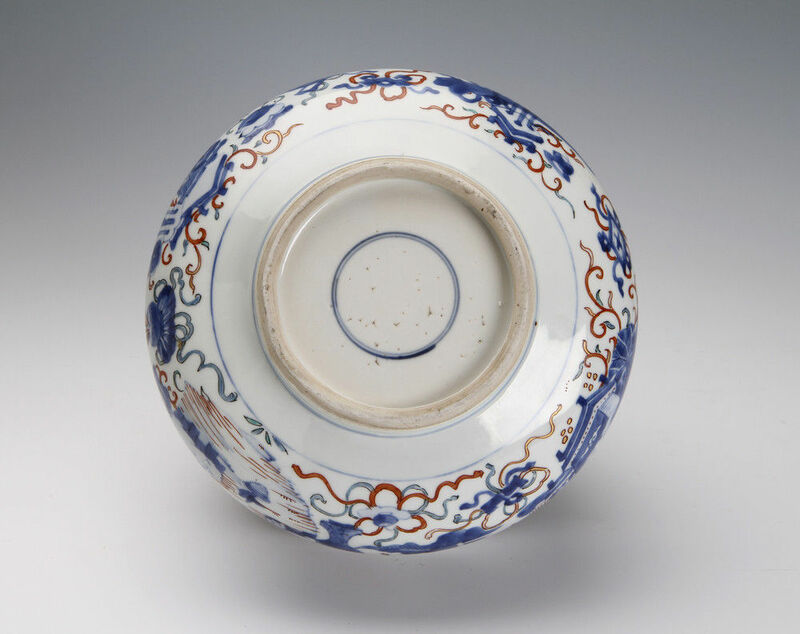 A Chinese blue and white censer with over-glaze enamels added in Holland and a cover made in Vienna at the Du Paquier Factory. Fritting and chips around the rim of the base, losses to gilding. 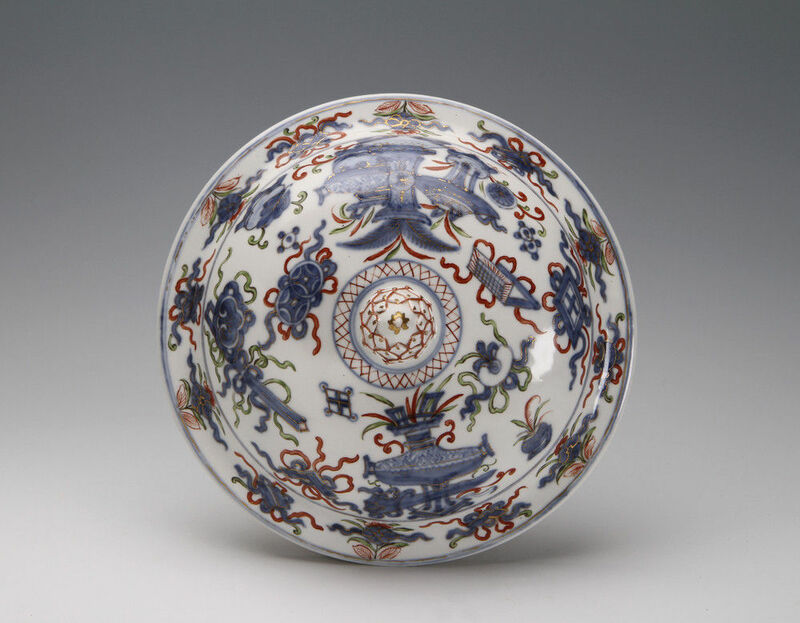 This started life as a Chinese blue and white censer or bulb pot of the Kangxi period, circa 1700, decorated with ‘Precious Objects’ and a figure in a riverscape. 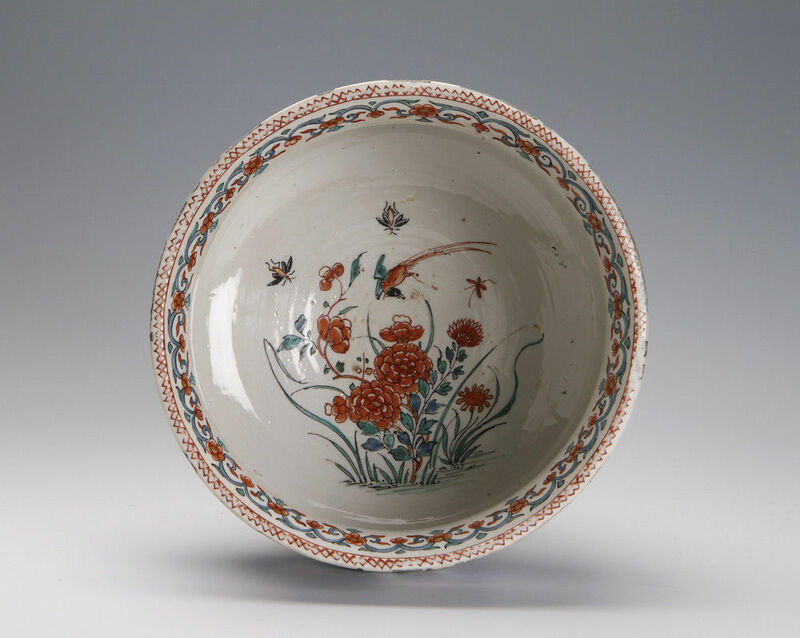 After it had been imported to Holland the over-glaze polychrome enamels and gilding were added around 1720 in a Dutch enamelling studio. 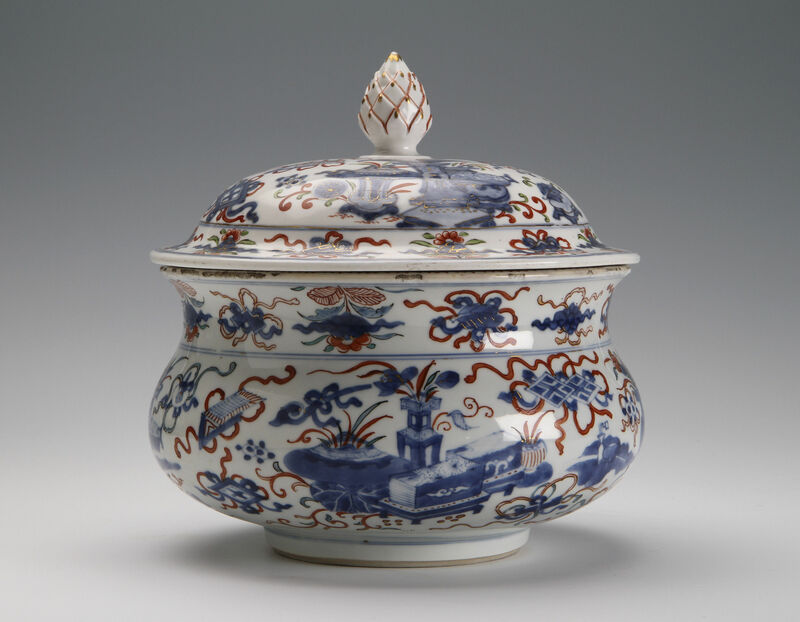 It then travelled to Vienna where a lid was made to match in around 1735 at the porcelain factory of Claudius Innocentius Du Paquier to turn it into a tureen. The artichoke finial and soft blue of the cover is typical of Du Paquier. The Viennese painter was probably not aware that the over-glaze enamels had been added in Holland and were not Chinese.